In Mohammed v The Home Office  EWHC 3051 (QB) Mr Edward Peperall QC (sitting as a Deputy High Court Judge) considered the appropriate award for interest and additional damages when a claimant had beaten their own Part 36 offer. This involved consideration of the additional interest that should be awarded and precisely what was included in the 10% additional award of damages. The claimant succeeded at trial and beat his own Part 36 offer of £70,000. The judge was considering what the appropriate additional elements were. On the facts of this case a rate of 6% over base additional interest on damages was appropriate. Similarly the additional interest on costs was 6% over base. The additional 10% damages was awarded on the basis of the basic interest awarded but did not include the enhanced interest awarded under CPR 36.17(4)(a). Abdulrahman Mohammed was unlawfully detained by the Home Office in purported exercise of the Secretary of State’s powers to detain foreign criminals with a view to deportation over three separate periods totalling 445 days between 12 September 2012 and 4 March 2016. By my judgment upon the trial of Mr Mohammed’s false imprisonment claim –  EWHC 2809 (QB) – I awarded him damages of £78,500. Counsel subsequently agreed interest on such damages at the rate of 2% per annum from the service of proceedings to judgment in the sum of £2,753. IS IT UNJUST TO MAKE THE USUAL ORDERS? Mr Tankel, for the Home Office, rightly accepted that it is not unjust for the court to make the usual orders under r.36.17(4). The purpose of Part 36 is plainly to encourage litigants both to make and accept reasonable settlement offers. As Briggs J. observed in Smith v. Trafford Housing Trust EWHC 3320 (Ch), at , such purpose is undermined if the court departs too readily from the scheme of Part 36. 66.1 First, there are few principles more important in a civilised society than that no one should be deprived of their liberty without lawful authority. 66.2 Secondly, it is essential that where a person is unlawfully imprisoned by the state that an independent judiciary should hold the executive to account. 66.3 Thirdly, justice should be done to all people …..
Mr Tankel expressly acknowledged the force of those observations, but argued that while, for the reasons I gave, Mr Mohammed is entitled to proper compensation, the court should nevertheless temper its award of interest under Part 36 by reference to Mr Mohammed’s character. “31. First, I should say that I do not regard the specified rate of 10% as a starting point. 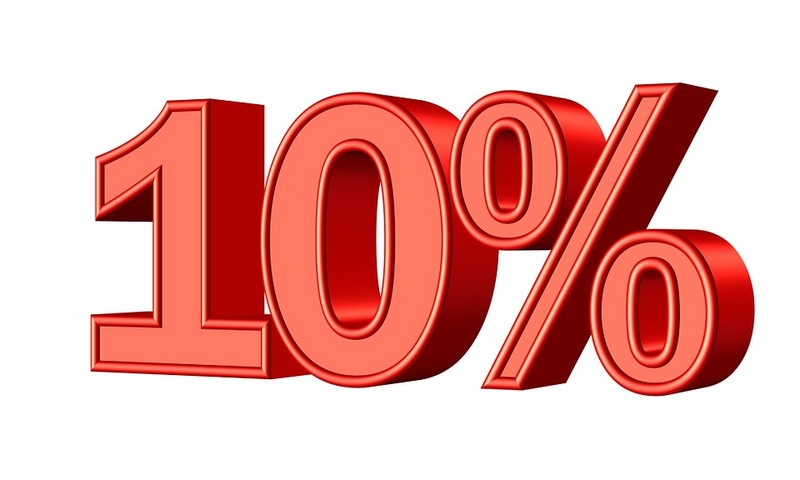 The words of the rule provide for enhanced interest to be awarded ‘at a rate not exceeding 10% above base rate.’ That does not make the figure of 10% a starting point. It makes it the maximum possible enhancement. (c) what general level of disruption can be seen, without a detailed inquiry, to have been caused to the claimant as a result of the refusal to negotiate or to accept the Part 36 offer. But there will be many factors that may be relevant. All cases will be different. Just as the court is required to have regard to ‘all the circumstances of the case’ in deciding whether it would be unjust to make all or any of the four possible orders in the first place, it must have regard to all the circumstances of the case in deciding what rate of interest to award under Part 36.14(3)(a). As Lord Woolf said in the Petrograde case, and Chadwick L.J. repeated in the McPhilemy case, this power is one intended to achieve a fairer result for the claimant. That does not, however, imply that the rate of interest can only be compensatory. In some cases, a proportionate rate will have to be greater than purely compensatory to provide the appropriate incentive to defendants to engage in reasonable settlement discussions and mediation aimed at achieving a compromise, to settle litigation at a reasonable time, and to mark the court’s disapproval of any unreasonable or improper conduct, as Briggs L.J. put the matter, pour encourager les autres. I turn then to the proper award under r.36.17(4)(a) in this case. While judges are required to take into account “all of the circumstances” it does not follow that each circumstance prayed in aid will necessarily be relevant to the exercise of the court’s discretion under Part 36. As I explained in my main judgment, the fact that Mr Mohammed is a criminal who had been lawfully imprisoned on a number of occasions did not mean that he was not entitled to compensation for false imprisonment, but it did moderate the award. The focus of the enquiry under Part 36 must be upon the conduct of the litigation, as indeed each of the three points identified by the Chancellor (at  of his judgment in OMV) indicates, and not on whether the claimant had led a blameless life up until the moment when a tort was committed against him. (a) The Part 36 offer was £70,000. Counsel have helpfully provided me with an interest calculation to the end of the relevant period and agree that the gross value of my award at that date was £80,264 (being £78,500 together with interest of £1,764). (b) The Home Office’s own submissions on quantum (as recorded in my main judgment) valued the case very much in the region of the Part 36 offer. Accordingly, it should always have been recognised as a reasonable offer that put the Home Office at risk under Part 36 in the event that liability was established. 10.2 Time between offer and judgment: The deadline for accepting the offer was 23 March 2017. Just over 7 months elapsed between that deadline and trial. 10.3 The claimant’s conduct of the case: Whatever his criminal background, Mr Mohammed has, through the skill of his legal team, prosecuted this claim reasonably. A proper application for interim relief was made successfully to Hayden J. A fair and properly reasoned settlement offer was made and, when it was not accepted, Mr Buttler and his instructing solicitors presented this claim fairly and moderately. (a) In my judgment, the Home Office should have recognised the weakness of its defence significantly earlier than 4.03 pm on the afternoon before trial. The judgment handed down by Hayden J. on 3 March 2016 clearly demonstrated the difficulties with the Home Office’s case and should have led to an earlier concession of liability. (b) Specifically, the Home Office should have re-evaluated this case on receipt of the Part 36 offer. Had it done so, it should, in my judgment, have recognised that the offer should be accepted. That said, it is plainly more desirable that a party should undertake a last-minute reassessment and make a late concession of liability than that it should persist in a bad defence. (c) This is nowhere near an extreme case like OMV in which a defendant pursued a dishonest defence by calling witnesses who lied to the court. Indeed, through Mr Tankel, the Home Office adopted a thoroughly reasonable and realistic approach to the matter before me. 10.5 The general level of disruption: Any claimant whose reasonable offer is not accepted and who is put to the trouble of pursuing the matter to trial will suffer some inconvenience. Here, much of the argument upon liability would have revolved around submissions of law upon the documents and Mr Mohammed’s evidence on quantum was brief. Mr Mohammed’s legal costs will be higher because he was put to proof of his claim, but he has not suffered particular inconvenience. Drawing all of these matters together, I award enhanced interest on the award at the rate of 6% over base from 23 March 2017 until judgment. It is common ground, and I order, that Mr Mohammed is entitled to his costs on an indemnity basis from 23 March 2017 until judgment. In McPhilemy v. Times Newspapers Ltd  EWCA Civ 871,  1 WLR 934, Chadwick L.J. explained that the power to award interest on costs under what is now r.36.17(4)(c) was designed to redress the unfairness that arises from the rule that interest is not ordinarily awarded on costs before judgment. In fact, as the White Book points out at para. 36.17.4.3, the court has power to award pre-judgment interest on costs in any event pursuant to r.44.2(6)(g). In McPhilemy, interest on costs was awarded at 4% over base; a rate that Chadwick L.J. described, at , as reflecting “(albeit generously) the cost of money.” Over the following 16 years, the McPhilemy award of 4% over base became something of a convention. In this case, the costs since March 2017 were largely incurred in unreasonably maintaining a bad defence on liability until the afternoon before trial. That said, this is again not an extreme case like OMV. Taking into account these matters, together with those already analysed at paragraph 10 above, I award interest on costs at 6% over base. Such interest will run on costs incurred on or after 23 March 2017 from the date when the work was done or liability for the disbursement incurred. 17.2 just the net award of damages. Mr Buttler submitted that the additional amount should be assessed on the gross award because the draftsman would otherwise have expressly excluded interest as he did in r.36.17(4)(a). Against this, Mr Tankel argues that the natural construction of “the amount awarded” is the capital sum excluding interest. 19.1 In Watchorn v. Jupiter Industries Ltd  EWHC 3003 (Ch),  3 Costs LO 337, His Honour Judge Purle QC assessed the additional amount as 10% of the net award. 19.2 In Bolt Burdon Solicitors v. Tariq  EWHC 1507 (QB),  4 WLR 112, Spencer J. assessed the additional amount as 10% of the award including interest. “80. …. However, the commercial effect would be to turn what is a maximum interest rate of 10% above base (when ordered) into 11% above base, which is surprising. “18. … In my view the wording of the rule is clear. The additional amount is calculated by applying the prescribed percentage ‘to an amount which is … the sum awarded to the claimant by the court.’ Whatever the position may be in respect of interest awarded as a matter of discretion (e.g. pursuant to s.35A of the Senior Courts Act 1981), the court has awarded interest at 8% as part of the sum to which the claimant was entitled contractually. As the notes in the White Book at 7.0.10 make clear, that is to be regarded as part of the sum awarded ‘as a specific sum’. 23.1 As Mr Tankel argues, the “amount awarded” might mean the award of damages net of any interest. 23.2 As Mr Buttler argues, it might mean the award of damages together with interest awarded before the court considers Part 36. 23.3 As counsel sought to argue in Watchorn, it might mean the award of damages together with all interest awarded, including any award of enhanced interest under r.36.17(4)(a). There is then the question, raised by Bolt Burdon, as to whether there is a different answer depending on whether interest is awarded pursuant to contract or the court’s discretion. As Spencer J. demonstrated in Bolt Burdon, contractual interest is part of the sum claimed and therefore obviously part of the award. Such cases will be relatively common in contractual disputes, either because there is an express provision in the parties’ contracts specifying the rate of interest upon default or because a term is implied by the Late Payment of Commercial Debts (Interest) Act 1998. 25.1 First, Judge Purle did not consider, no doubt because it was not argued, the middle ground urged on me in this case, namely that the court should take into account the interest awarded under the 1981 Act but not the enhanced interest awarded under r.36.17(4)(a). This omission was significant to the judge’s reasoning since he appeared to consider that the choice was between ignoring interest altogether or awarding an extra 10% upon interest already enhanced to 10% over base. Further, it is clear that the judge’s construction of r.36.17(4)(d) was driven by his distaste for the latter possibility. 25.2 Secondly, the judge’s attention does not appear to have been drawn to the difference in wording between sub-paragraphs 4(a) and (d); specifically to the express exclusion of interest in the former and silence as to interest in the latter. Accordingly, I treat Watchorn simply as authority for the proposition that enhanced interest under r.36.17(4)(a) should be left out of account. On that narrow point, I agree with Judge Purle but for slightly different reasons. In my judgment, the proper construction of r.36.17(4)(d)(i) is clear. In calculating the additional amount, the court should take into account the gross award that would have been made but for Part 36. That is the sum that the court was about to award when taken to the Part 36 offer. Such assessment therefore includes basic interest, whether awarded pursuant to contract (as in Bolt Burdon) or to the court’s discretionary power, but excludes any enhanced interest awarded under r.36.17(4)(a). 28.1 First, the Civil Procedure Rule Committee expressly excluded interest in sub-paragraph (4)(a) but not in (4)(d). As Spencer J. observed, the difference in language is a strong indication that the rule-makers intended there to be a difference. 28.2 Secondly, the rule-makers cannot have intended the answer to this issue to be determined by whether interest was awarded pursuant to contract or the court’s discretionary power. 28.3 Thirdly, just as the “sum of money … awarded” in r.36.17(4)(a) ignores the additional award under (d), so too the “sum awarded” in (d) ignores the enhanced interest under (a). 28.4 Fourthly, the restriction in r.36.17(6) is not, in my judgment, engaged for the reasons explained by Spencer J. and Judge Purle. In any event, upon my preferred construction, enhanced interest is left out of account under sub-paragraph (4)(d). Accordingly, I award the additional amount of 10% of my award of damages including the agreed interest pursuant to the 1981 Act.